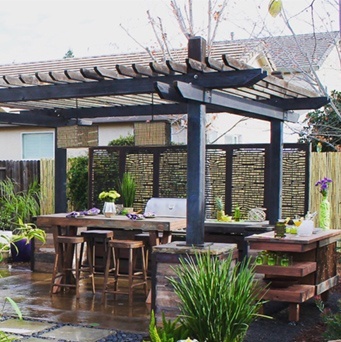 Designing the ultimate backyard can be a daunting task to try and tackle. Where do you start and how do you begin to create the backyard with the perfect flow and functionality? You can systematically design a yard just by solving the issues it has. When I step into a client’s backyard space for a consultation, nine times out of ten they will start giving me their lengthy list of “wants” right off the bat. This is usually a list that was prepared way in advance without any real consideration for the space in front of us. 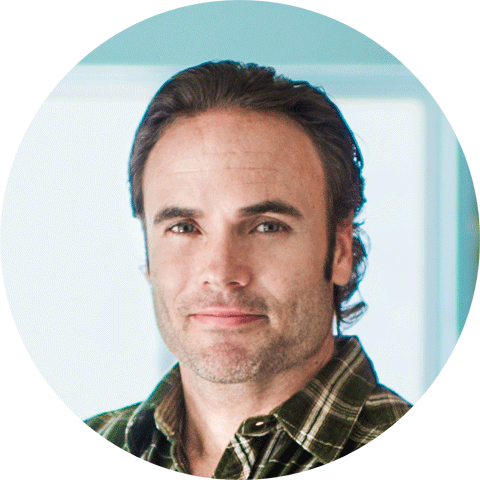 You are missing a huge opportunity to systematically design your yard and solve all the issues that made you want to change it in the first place. 1. Privacy can be an issue for many yards. Start by identifying the open space(s) that need more privacy and strategically place a privacy screen to block the sightlines. 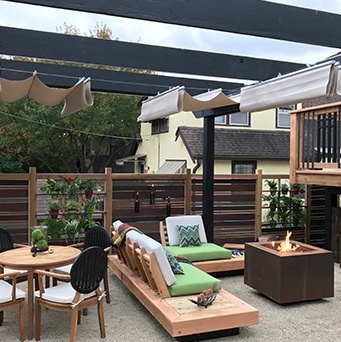 These could be 8' x 8' panels made out of wood installed in the ground, outdoor curtains hung from an existing shade structure or a modern looking fence with spaced horizontal boards and integrated flower pots. Privacy doesn’t have to look ugly. 2. One of the biggest problems I run into is a lack of entertaining space. 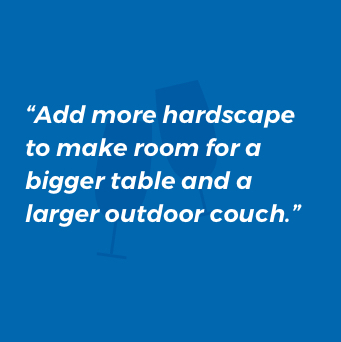 I suggest adding more hardscape to make room for a bigger table and a larger outdoor couch. 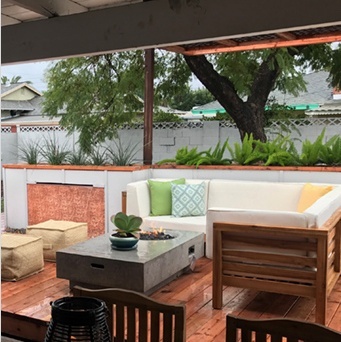 One of my favorite design tricks to do in a yard lacking entertainment space is incorporating seat height walls with top caps. This will act as “hidden seating,” so no matter how many people you have in your backyard, they will always have a place to sit without you having to haul one chair out of the storage shed. Having an ample amount of storage is absolutely necessary in order to keep your yard clutter free and fully functional. Storage doesn’t have to be tucked away deep in the corner of your yard either. There are some amazing storage boxes out there that will not only enhance the look of your yard but store all the clutter you can throw at it. I like Suncast’s Oasis Storage and Entertaining Station. It looks great and has plenty of storage capacity. 3. Another problem I often see is too much sun! 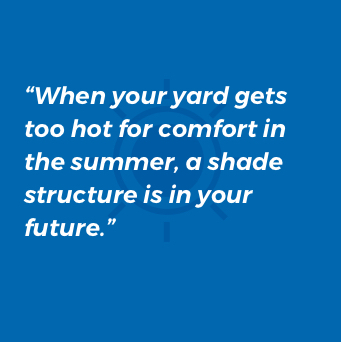 When your yard gets too hot for comfort in the summer, a shade structure is in your future. Make sure the structure is big enough to shade your living area plus five feet for proper coverage. For each problem you solve, another piece of your yard is created. There are also a ton of great ideas floating around cyberspace. Websites like Pinterest have turned the internet into a yard inspiration mecca. Start researching different yard styles as early as possible in the design process. This way you will have a firm and confident vision of what you want your yard to look like even before you put the layout on paper. This will make the entire design process move much faster and more importantly way less stressful.